Hailed as “Netflix for the Anglophile” by NPR, Acorn TV offers hard-to-find gems, timeless classics, and newly-discovered favorites from Britain, Ireland, Australia, and beyond. 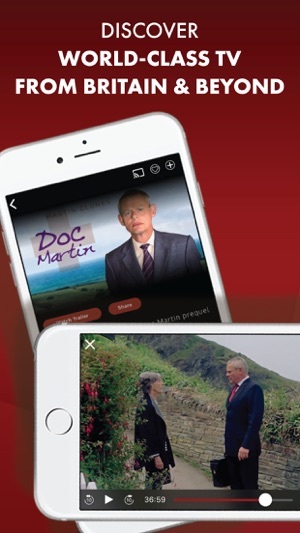 Start a 7-day free trial to watch such fan favorites as Doc Martin, A Place to Call Home, Murdoch Mysteries, Brokenwood Mysteries, Midsomer Murders, and Foyle’s War, as well as Acorn TV Originals you can’t stream anywhere else including Agatha Raisin, Loch Ness, Striking Out, and Detectorists. 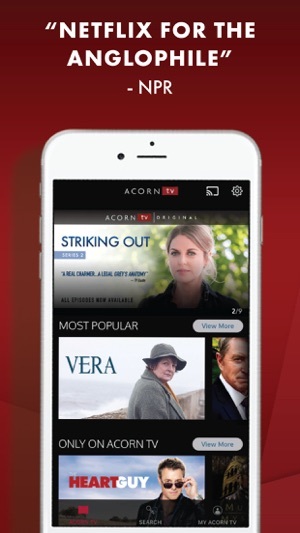 After the 7-day trial, your Acorn TV subscription will continue at the current monthly or annual rate depending on the type of plan you select. If you subscribe via iTunes, your payment will be charged to your iTunes account. You can easily cancel anytime by turning off auto-renew in your iTunes account settings. The monthly subscription automatically renews every month unless auto-renew is turned off at least 24-hours before the end of the current period. Your iTunes account will be charged for renewal within 24-hours prior to the end of the current period. The annual subscription automatically renews every year unless auto-renew is turned off at least 24-hours before the end of the current period. Your iTunes account will be charged for renewal within 24-hours prior to the end of the current period. Any unused portion of a free trial period, if offered, will be forfeited when the user purchases a subscription, where applicable. I’ve been using various computer apps for some 35 years, and the Acorn TV app for the Apple TV is the worst app I’ve ever had to use. To begin, the menu system is completely illogical and user hostile. Unlike, Netflix, with the Acorn app for Apple TV once you have selected the program you want (not always easy with the execrable new Apple TV remote), you then get to try and figure out which episode is next in the queue because Acorn doesn’t bother to queue up the next one. You still have to figure out which one it is, with no clues whatsoever. Just finding the program itself is sometimes a challenge. If you go to the recently watched list, and click on the program you want, rather than bringing up the overview screen for the program (from which you can at least begin your search for the next episode to watch), it just starts the episode you’ve already watched. And if you hit the go-back button, it just bumps you back out to the home screen rather than the more logical overview screen for that program. To top off the fun, it will, as often as not, simply refuse to play a program no matter how many times you hit enter on the pad portion of the remote. I end up AirPlaying it from my iPad. The Acorn App for the Apple TV is completely broken. Which is a shame because the app for the iPad and iPhone — a completely different app — is quite good, And the programming is brilliant. If you can get it to play. Shameful! Thank you for taking the time to post this review. We understand your concerns, and our new Apple TV app will be released this summer, incorporating user feedback. 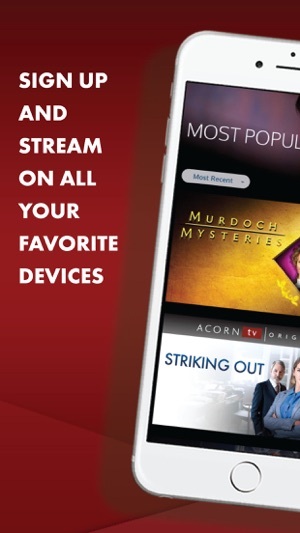 We are glad you are enjoying Acorn TV programming, and we thank you for your patience as we continue to improve your experience. It works now on all devices, finally, though I will never understand the management process that made the customer experience so bad. And I am still surprised that they did not contact users who had written or called them. Now it works, and content is good. 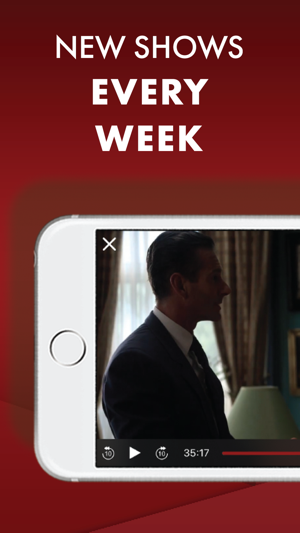 But unlike other streaming we use, Acorn is unique in not making it easy to see where we left off in watching episodes. This is not a good way to be unique. First Acorn removed essential functionality (tracking progress on series, for example). Then the app stops working with iPads and iPhones. Then the app stops working with Apple TV. And through it all Acorn decides not to reach out to customers to describe the situation and their progress, and not to tell customers that their remaining option is to log in on web browser. So, self-created technical problems compounded by a poor customer service decision. I think Acorn is shooting itself in the foot. I wonder what will happen to # subscribers, and how many will take this as a signal to try Britbox. An addition to my review from a week ago. At that time Acorn sent me an email telling me they had reset my password and that the app would work with the reset password. It did not. I just received the exact same message. And exactly like before, nothing changes with the reset password. This feels a bit like like the Keystone Cops. Thank you for taking the time to post this review. We understand your concerns, and our new Apple TV app will be released this summer, incorporating user feedback. If you are in need of assistance, please contact our customer support team and they will help you right away with any technical issues: support@rlje.freshdesk.com. We are constantly working to improve the user experience and we value your feedback! Update: Crashing every time launched under iOS 11.3. Apple TV version frequently fails to connect, requiring log out and back in, restarting the Apple TV, or both. Nothing but canned, usually inapplicable replies from tech support and no updates. If Acorn wasn’t the only place some of this content was available, I’d have cancelled my subscription by now. Avoid this service if you can find the content you want anywhere else. So far it looks good, though there were several aspects of the previous version, including the ability to select a search and see just the episodes in that season rather than the new version which has all the seasons and episodes in a single list with no ability to just view a single season’s episodes. Time will tell whether this version is stable in it’s current release and whether it’s more reliable with AirPlay then the previous releases tended to be. I’m also very hopeful of an app for the 4th-generation Apple TV so that I don’t have to stream from my iPad. Thank you for taking the time to provide this feedback. We understand your concerns with our app and we apologize for the initial issues with compatibility with iOS 11.3. We have since released an update that will resolve these issues for your iPhone and iPad. We are also pleased to be releasing a new Apple TV app this summer, incorporating user feedback. Thank you for subscribing to Acorn TV. We appreciate your patience as we work to improve your experience.